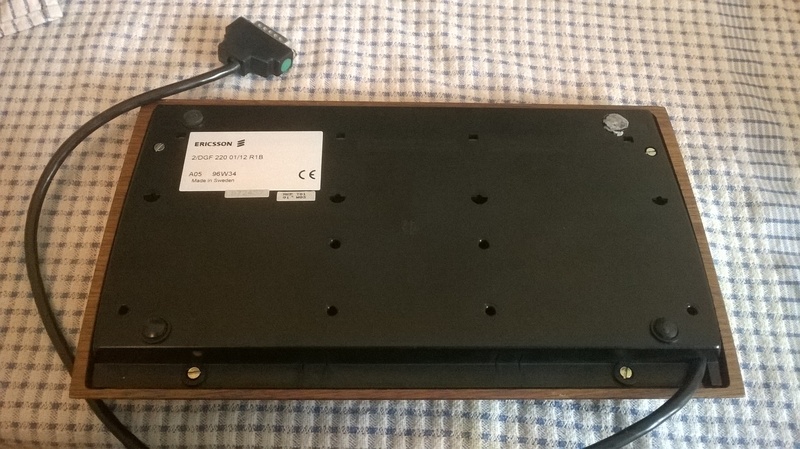 Found this at the recycling centre the other day, the keyboard to some Ericsson telephone computer (?!). These appear to be fairly rare and I think I can see why xD . I can't really make a video out of this so I thought I'd post pictures instead . The case is made out of wood. Real wood, not plastic or anything, just lacquered wood, and with a nice finish, even. The underside of the case isn't sanded so it splinters xD . The underside is plastic, bolted to the wood top casing through brass bolt shafts. One of the feet came off and the previous owner seems to have replaced it with Blu-Tack xD . 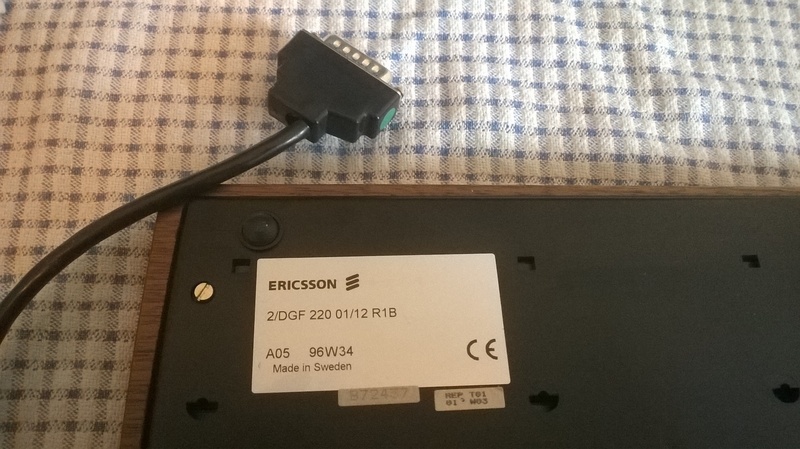 Yup, it's one of those model numbers again; it's a 2/DGF 220 01/12 R1B . 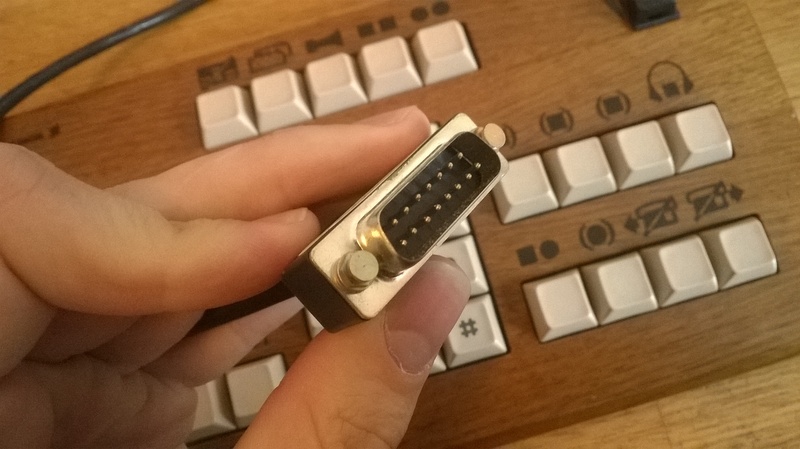 A surprisingly large connector for so few keys, looks like a serial connector of some kind I think? 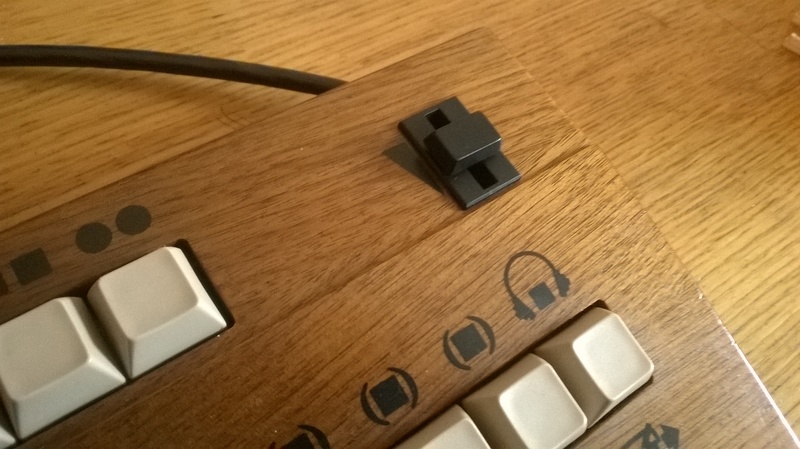 Would you believe it, I was thinking of Alps octagonal switches the other day, and I suddenly get a keyboard with them in! 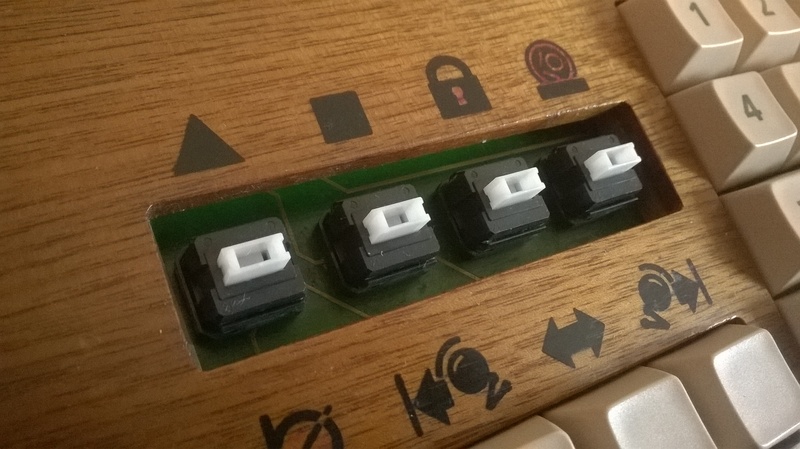 ^^ They're smooth and linear, and ping quite a bit despite there being almost no metal in the keyboard. 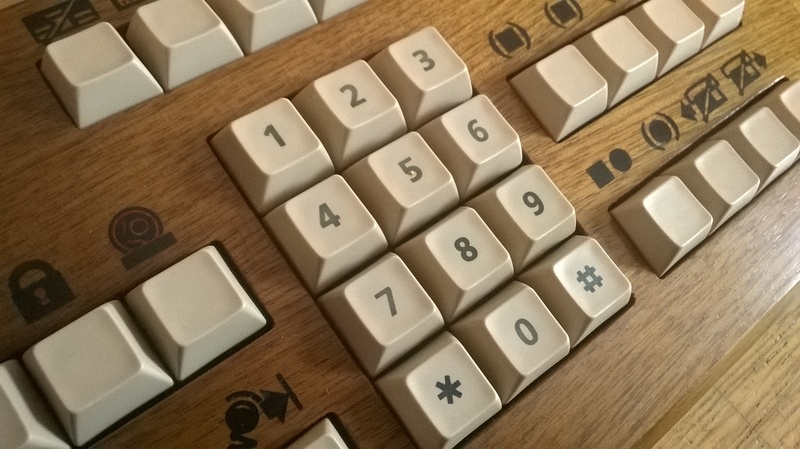 The numpad kinda gives away that it's a phone keyboard rather than a computer one, as it's laid out in phone format rather than a tenkey one. It comes with a volume slider to adjust the volume on calls, presumably. 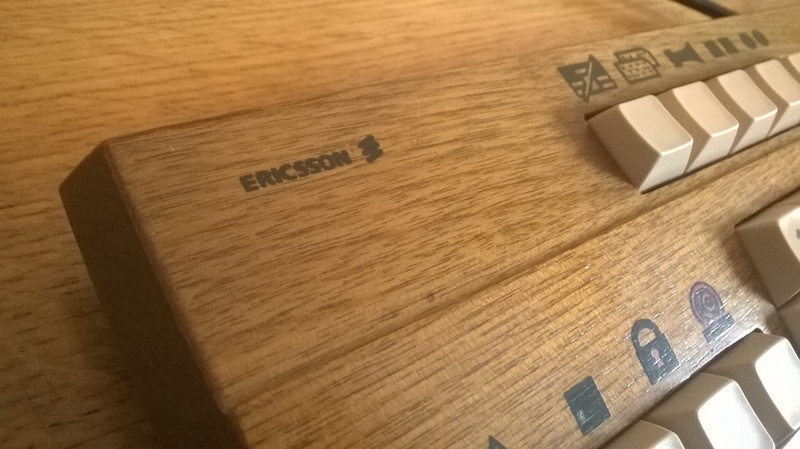 The Ericsson logo is almost inconspicuous, with black lettering on the dark wood panels. Overall a pretty fun find, although I obviously can't use it . Wow! Nice find! As a swede I think this is a really interesting find. Neat! 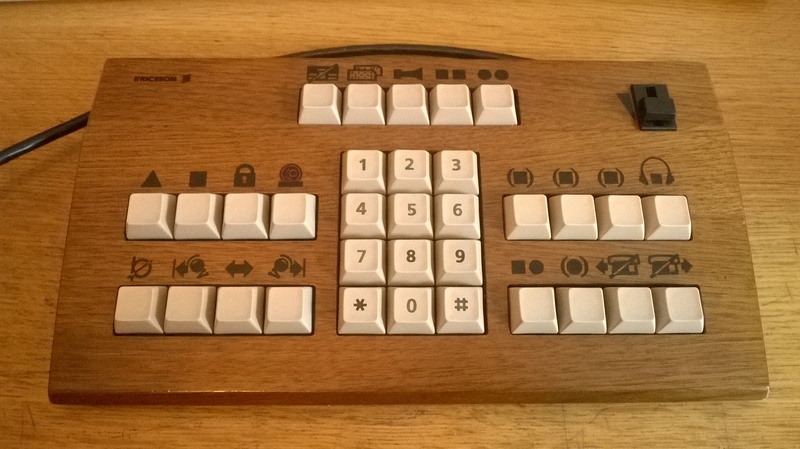 This could work nicely with something like MAME. you can answere me when you need the device.